Nearly everyone has some wood furniture at home. 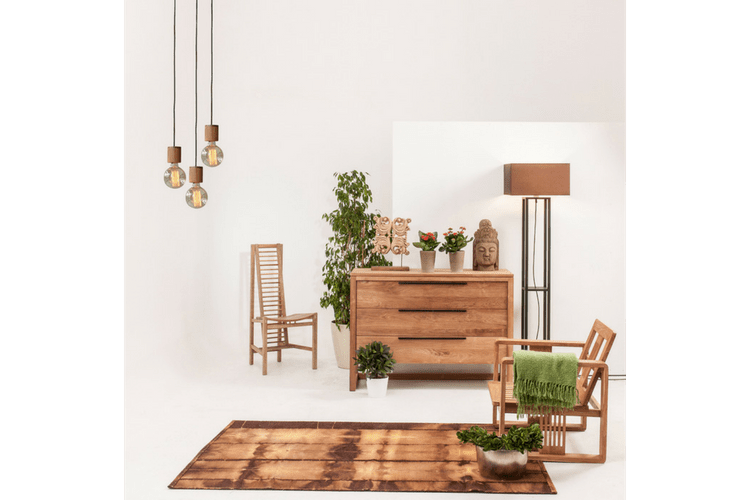 Whether it’s a nice dining table, a simple bookshelf, or an ornate desk, your wood furniture likely complements your house quite well. But that’s only if it’s clean. When wood is covered in fingerprints, dust, and stains, it can look shabby and worn. If you want to avoid this look in your home, check out some tips on how to clean wood furniture so it always looks good. The first way to keep your wood furniture looking nice is to remove the layer of dust that has likely accumulated over time. You can use a duster made specifically for this task, or you can use any soft, dry fabric to wipe dust away. Microfiber cloths tend to be the best at removing dust, and they’re even more effective when damp. Another way to dust wood in your home is to vacuum it up. No matter which method you choose to remove dust, you’re on the way to getting furniture that looks cleaner than ever. The next step in figuring out how to clean wood furniture is determining how to remove smudges and dirt so it looks its best. You don’t have to buy any special cleaners for this, as soap and water should work just fine. Just dip a clean cloth in a mixture of soap and water, wring it out, and then wipe down the surface of your wood furniture. Just be sure not to get the wood too wet, and remember to rinse off the wood with a little clean water on a different cloth. Then rub a dry cloth all over the surface to ensure the wood is completely dry. As you learn how to clean wood furniture, you might be wondering how to handle any stains you see while you clean. One common example is the water ring that shows up on wood tables when people don’t use coasters for their drinks. You can remove these by rubbing white toothpaste on the spot with a cloth. Then wipe off the toothpaste with a damp cloth and dry off the surface. If you see ink stains on any wood furniture in your home, you can mix 1 teaspoon of water with 1 tablespoon of baking soda until it becomes a paste. Rub that onto the stain with a clean cloth until you can no longer see the ink. Then wipe it with a damp cloth to rinse the spot, and dry it with a clean, dry cloth. So you know how to clean wood furniture now, but how do you make it shine? You polish it! You can buy wood polish at any store, or you can make your own at home by mixing 1/4 cup white vinegar with 1 cup of olive oil. Just pour the mixture onto a cloth and rub it on the wood, making sure to rub with the grain, not against it. Keep rubbing this mix onto the wood until the surface looks shinier than it did before, and you’ll have wood furniture you’ll be proud to show off. Whether you buy commercial wood cleaner or make your own at home, knowing how to clean wood furniture will ensure your wood tables, chairs, shelves, and other furnishings always look their best. 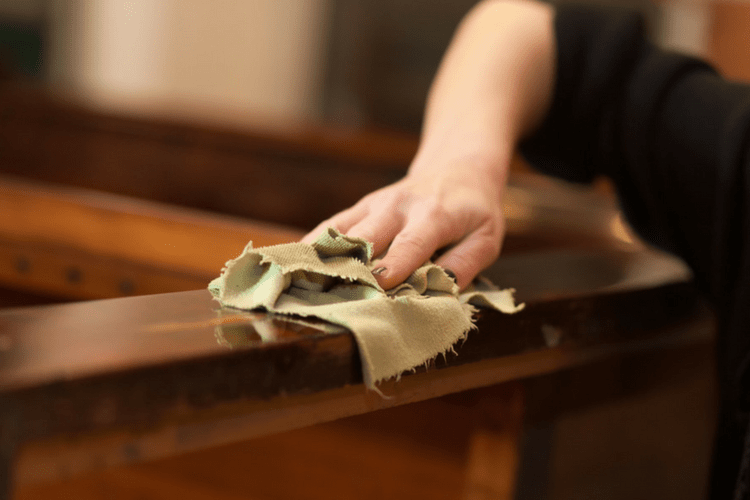 And if you happen to have leather furniture at home, as well, you can get similar help with that when you read How to Clean Leather Furniture.